Chronic endurance training may increase cardiovascular fitness and muscular endurance but over time, without proper nutrition and recovery, will wear down muscle tissue and suppress your immune system. This is due to the muscular effects of overtraining plus the acidic environment that is caused by the byproducts of exercise, including lactic acid and free radicals which are temporarily present in your bloodstream after a training session. The pH level of your blood drops to below 7.4 and increases inflammation. 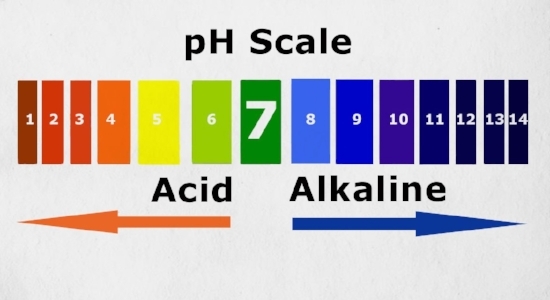 The body will always resist any state other than the norm and will respond by drawing calcium out of your bones in order to restore the pH level to an alkaline state. Over time this increases your risk of bone injuries including stress responses and stress fractures. By fuelling yourself with nutrients to bring the pH level of your blood up without the need for your body to resort to its’ own stores, you will offset this evolutionary mechanism and reduce injury risk. The sooner you do this after a hard training session, the less time your skeletal tissue is exposed to an acidic environment. Fruit and vegetables, including ‘acidic’ type fruit such as citrus and kiwifruit are predominantly alkaline foods and therefore important to include in substantial amounts in your everyday diet. Spinach and broccoli are two of the most alkaline vegetables you can consume; hence why green smoothies are becoming a go-to recovery fuel for athletes. Green smoothies can form a substantial snack or breakfast fuel that includes all necessary elements for a great recovery meal when consumed within 20-30 minutes of completing your session. Below are some favourite recipes that are quick to throw together and will keep you going all morning. Using a blender instead of a juicer is great, as it retains important fibre. Adjust the liquid component to adjust the consistency of the smoothie. Preparing ripe bananas by chopping into chunks and then freezing makes it easier to use. Chia seeds contain polyunsaturated fats which are useful in reducing inflammation and help satisfy. Those with a sweet tooth might want to add 2-3 fresh, chopped, pitted dates – another high alkaline fruit and a great source of carbohydrate.